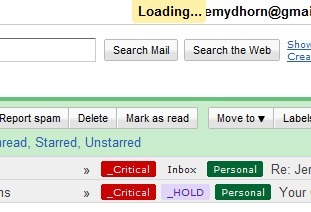 Part 5 in a series exploring the eventual adoption of Gmail in one's daily life, by one once thoroughly addicted to, dependent on, the primarily client-based solution of Microsoft's Outlook, what brought about this conversion, why it took so long, and what should be done to encourage greater Gmail adoption. This is part 5 of a short story of personal exploration and development by one new to the daily employment of Gmail, long resisted, long desired, and eventually brought to conversion by an Android. Recently our journey began. 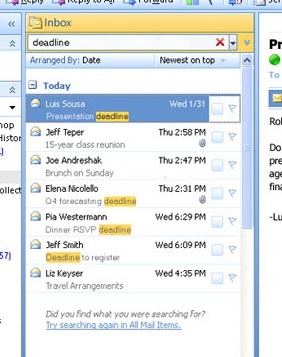 From the humble origins of Outlook to the portable synchronicity of the Windows Mobile platform, I did travel, did evolve, as needs, desires, and demands of communication and productivity so evolved and changed. Through the darkness of masked potential so emerged new and exciting opportunities. But, to fully grasp this fortune, these new degrees of productivity, it is important to pause, take measure of, and understand the crux at the heart at the core of the resistance to Gmail. I am often asked, more so in the days since my recent conversion to Gmail, what is was, specifically, precisely, that caused me to build up such a strong aversion to a product such as this. And, the final piece, pieces, that made whole, almost immutable, my resistance to this conversion were the slowness, and the abundance of the little things. …that seem, even to this day, to reassert themselves and do cause the reluctant reassessment, of reversion from this conversion. And, impediments enough prior to that, too fostered, bolstered the overall aversion. This product, whose existence in my heart was a duality of contradiction, both courted and simultaneously resisted, placed further strains on this relationship that was still yet to be through its exhibition of yet another form of slow, adding unnecessary ballast to an already firmly cemented resistance. This flame, with whom I oft flirted and fled, constantly tempted me, showing me a directional inclination to meet my needs and address my concerns. 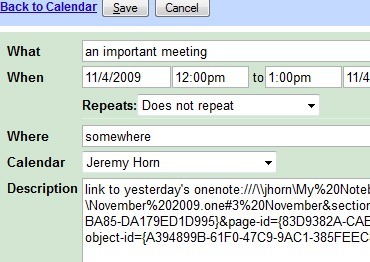 Such innovations were Gmail’s enchantments. 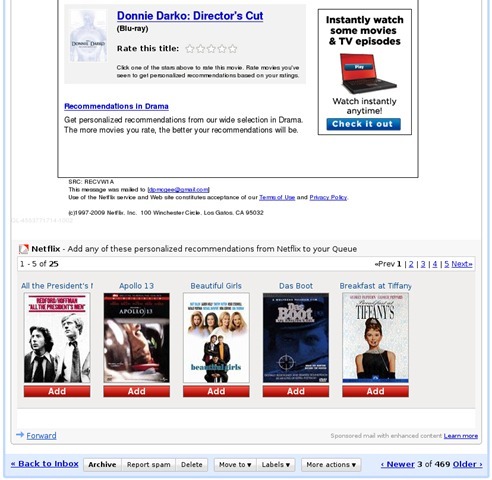 Dressed in exciting and alluring features befitting many a niche market and wanton suitor, myself not excluded, Gmail showed off such items as inline Netflix — great for that quick, one-time thrill; directionally appealing, but not enough upon which to build a long term relationship. My family is a small one, but with everyone having their role and doing their part, up to now always getting along. Sure, there’s the occasional spat. But, in the end the family has always come together, harmony reached, OneNote sharing with Outlook, email and notes kindly cooperating and linking up with calendar, etc. Gmail looked like it may someday get along with the whole family. However and again, its slowness came into play. Oh, sure, it worked hard in demonstrating the desire to improve and move in this direction, but lacking in facility, and those of which to bring home to and boast about. But, for sealing the deal, a broader, some more whole approach, more generally appealing would be needed. 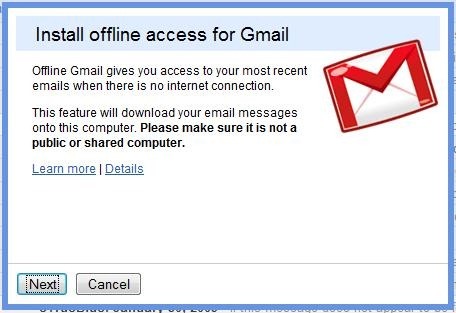 I waited, just outside, for what seemed, maybe even was, an eternity, to be able to take Gmail out and offline. But, while the time did eventually come, and did go a long way in wearing down my long established resistance, freeing myself and Gmail in our travels, enjoying our time in the park, on the plane, in far off places, places where WiFi had yet to reach. … but, each and every time ending in disappointment, each subsequent breakup more disheartening than the last. And, while dazzling, this flame, with whom I flirted, was a slow burning one. The evidence of aforementioned inclinations dwindled, giving rise to apprehensions of illusions, concerns of progress in ways most fitting to the needs most relevant, most pertinent to my resistance. And, these propellants of reluctance, delayers of adoption, the fundamental causes of my resistance to what would eventually be overshadowed and forced aside, through the coercion of an Android to my conversion to the ways of Gmail, will, my friends, have to wait until next week. i have not been able to access my gmail for 3 days. 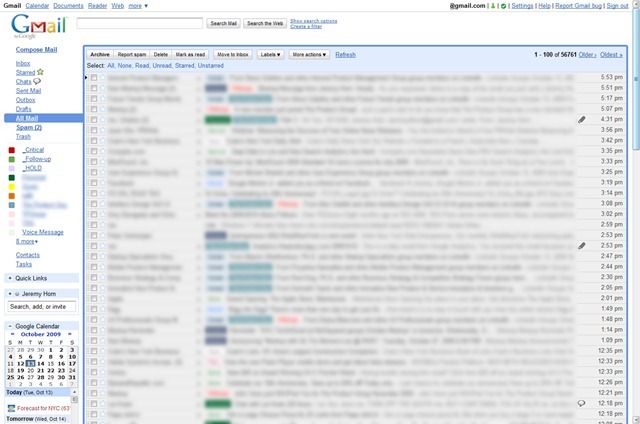 i have my business associated with gmail. i submitted their ‘form’ but of course no help from them. I appreciate your taking your time to read this. Sorry, nothing I can do for you from here. I would recommend, in addition to following up with them via email, to also post to the forums requesting assistance. Next Entry From Zazzing Your Product Design to Business Plan "YES!"